Our commercial kitchen exhaust fan cleaning is imperative because it ensures safety. The kitchen exhaust fan is one of the most essential elements of the exhaust system because it creates the forced ventilation needed to remove cooking fumes and hot air from the room. The fan draws hot air into the vents, through the ducts, and releases it into the air outside. At the same time, it pulls in cool air. If the extractor fan is not working correctly, hot air builds up and can ignite any dried grease on the inside of the exhaust system and cause a fire. Countless kitchens have burned to the ground from neglecting to clean this. Call our exhaust fan cleaners today to help! We're at (615) 235-0547. 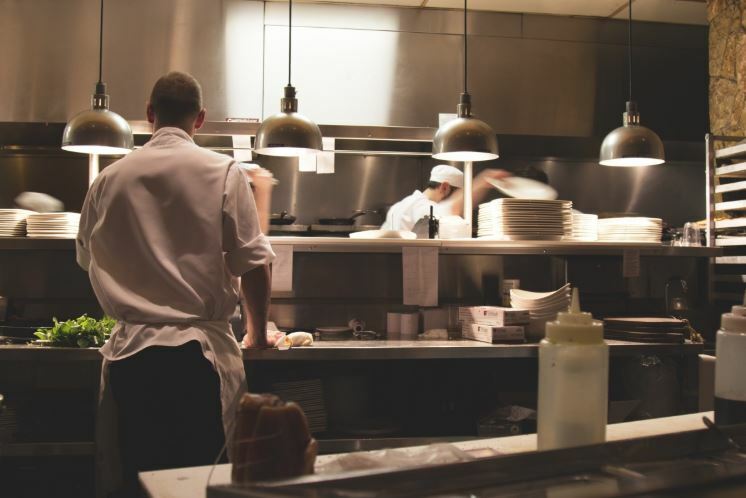 NFPA 96 fire code requires hinges on all commercial kitchens and restaurant exhaust fans in Tennessee for health and safety reasons. Hinged fans are safer and less likely to become damaged during cleaning or maintenance. So, if you need exhaust fan hinge installation in Nashville, give us a call at (615) 235-0547 now. ​Most exhaust fans are made from aluminum, which is a relatively soft metal. During the cleaning process, the top of the fan must be removed for proper maintenance. If the fan happens to fall, it will likely dent, causing it to malfunction in the future. Hinges hook to the back of the fan so that the protective barrier can be opened easily without the possibility of damage. Hinged exhaust fans also make cleaning easier. Instead of dismantling the unit piece by piece, one can simply open the cover.